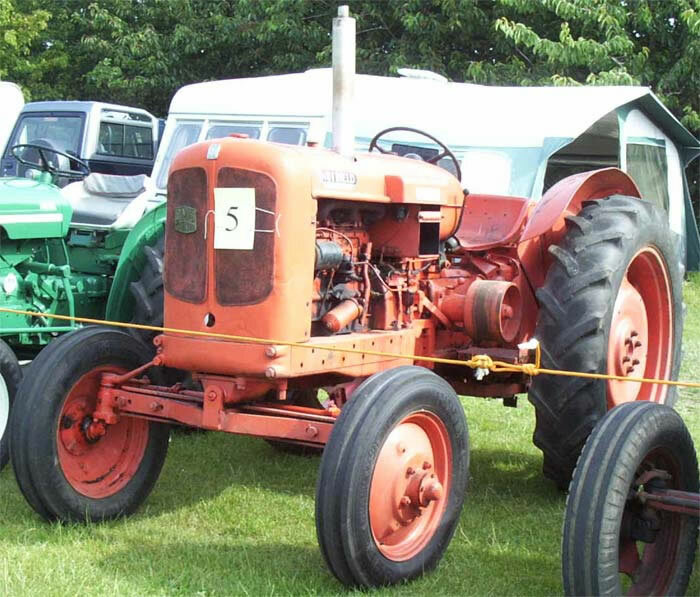 The Nuffield Universal M4 range of tractors were the first tractors built by the Morris Motors Company, they were introduced at the 1948 Smithfield Show. Initial versions were powered by a four cylinder side valve 40.8 h.p. petrol version of the Morris Commercial engine, alternatively a vaporising oil burning version of the same engine could be specified. In 1950 a 48 h.p. diesel version powered by the Perkins P4 (TA) was made optional. Certain features of the tractor such as the five forward and one reverse speed gearbox together with adjustable track width and electric starting as standard were relatively advanced for the time.